Inspired by vintage cinema signage that advertised new movie releases on the front of art deco cinemas. 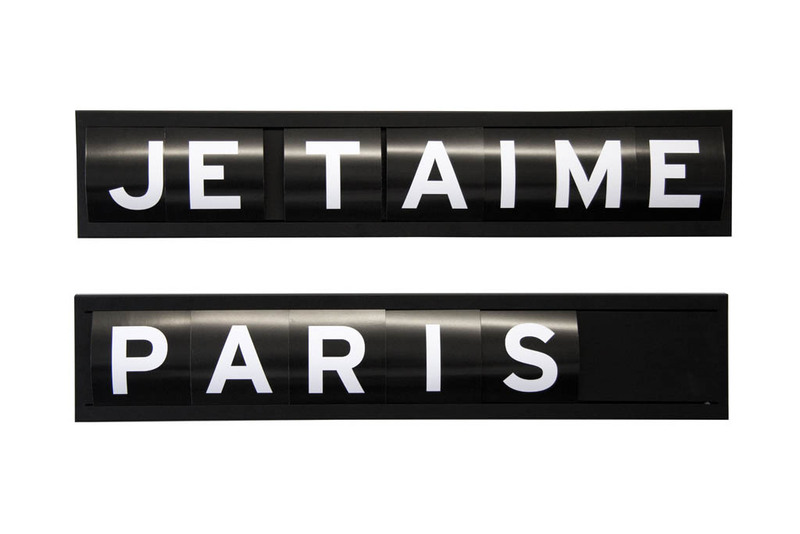 “We wanted to create a modern version complete with a new set of interchangeable letters that people could use in their home.” explains Paul Goodwin. The large metal board comes with a pack of font cards from A-Z and &, with which numerous combinations of words can be created, each panel comfortably holds up to 6 characters or 7 cards. Designed by London-based designers Goodwin + Goodwin, who love mixing home accessories with graphic design. Goodwin + Goodwin proudly support local companies that are obsessed with good quality & workmanship as much as they are. 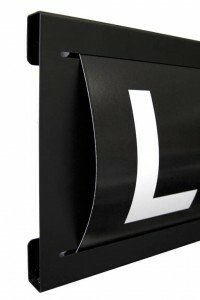 The Typographic Display Board is available online from www.goodwinandgoodwin.com at £99.95. Matt black powder coat finish on bent metal. Holes to mount to wall. W100cm H21cm. 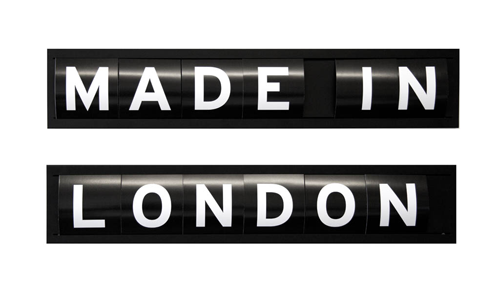 Designed and manufactured in the UK.